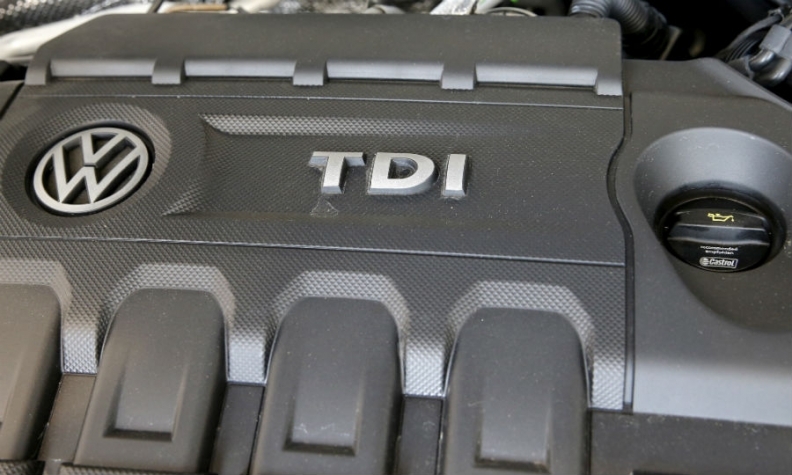 BERLIN -- Volkswagen Group said the software allowing its diesel vehicles to evade emissions rules does not violate European law, as the automaker aims to toughen its legal defenses in view of a possible rise in compensation claims in its home region. The European Commission has been raising the pressure on VW to compensate owners of rigged cars in Europe, where the majority of affected vehicles are registered. VW has rejected such calls but is offering cash payouts to drivers in the U.S. where it admitted to manipulating diesel-emissions tests more than a year ago. Last month, a Spanish court for the first time ruled in favor of a VW customer and imposed a fine on VW's local units, leading Spanish consumer lobbies to urge other people with affected cars to join a class-action lawsuit against VW. After fending off suggestions that it may have breached European consumer rules in connection with the scandal, VW says the very technology which led it to incur up to $16.5 billion in U.S. settlement costs is compliant with European rules. "The software contained in vehicles with a EA-189 engine in the view of Volkswagen represents no unlawful defeat device under European law," VW said on Thursday in emailed comments. "The efficiency of the emissions cleanup system will not be reduced in those vehicles which however would be a prerequisite for the existence of an unlawful defeat device in the legal sense." German broadcasters NDR, WDR and the Sueddeutsche Zeitung newspaper reported VW's approach earlier on Thursday. Although VW believes the software complies with European law, it will continue to follow the order of Germany's KBA motor vehicle authortiy and refit the affected cars for reasons of goodwill. "Volkswagen wants to - in the special interest of customers - cooperate constructively and cooperatively hand in hand with the regulators as well as with the Federal Motor Vehicle Authority," VW said. "This intensive cooperation should not be burdened by a contentious dispute." Separately, VW denied views held by Germany's Federal Environmental Agency and other health lobbies that nitrogen oxides are harmful to human health and the environment. "A reliable determination of morbidity or even fatalities for certain demographic groups based on our level of knowledge is not possible from a scientific point of view," VW said.